2 bedroom big bright upper-floor suite in a BIG house. Suite has a big living room, big dinning room, big bedrooms, and a fireplace. Smoking outside only. Pets: no pets. 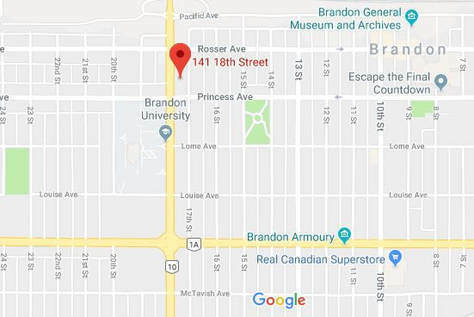 3 minute walk to Brandon University. 7 minute walk to downtown. Bus stop is a 2 minute walk away. 5 minute walk to Stanley park with green space. This 2 bedroom, 1 bathroom home is for rent at 141 18th St, Brandon. Big back yard included and shared. The house is set far back from the road for privacy and a natural feel. The entrance to the suite is private. Big bright upper suite with yard is renting for $900 with $450 in deposits required. Newly installed washer and dryer are shared. Parking is off street so vehicles are safe from the snowplow. Utilities are the responsibility of the tenant. Available now, but willing to wait for the right tenants. Standard month to month rental agreement.